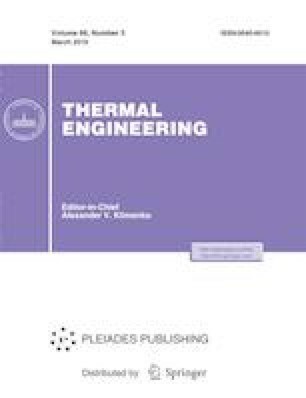 The article discusses a method for early detection and prediction of abnormality in operation of power-unit process equipment taking as an example the PTN 1100-350-17-4 turbine driven feedwater pump of a 300 MW power unit. The importance of the problem of predicting possible process equipment malfunctions at an early state of their occurrence is determined, and the specific features of solving it in the power industry are explained. The range of process equipment defects that can be efficiently detected using the predictive analytics methods is outlined. The fundamental assertion stating that the scope of analog and discrete measurements available in the process control system’s set of computerized automation tools is sufficient for applying the predictive analytics methods is emphasized. Modern predictive analytics methods are briefly reviewed, and the specific features of model training algorithms are mentioned. Separate attention is paid to the problems of preparing initial data for training the model. The mathematical problem of modeling an abnormality indicator taking the values from 0 (normal operation) to 1 (abnormal operation) is formulated. In turn, this problem is formulated as the binary classification problem of attribute vectors characterizing the equipment state at the given moment of time. An original approach is suggested, which combines the multivariate state estimation technique (MSET), in which the degree of abnormality in a technical state is determined from the extent to which the Hotelling criterion exceeds a threshold level (which is automatically calculated in the algorithm), and machine learning methods, the use of which makes it possible to overcome a number of difficulties inherent in the MSET. For solving the problem of determining the composition of the most informative attributes from the values of which early development of an emergency can be detected, it is proposed to use an ensemble of regression models. A method for selecting the modeled variable and the set of regressors is substantiated. An abnormality indicator calculation method based on composing an ensemble of linear regression models is proposed, and the advantage of using an ensemble over a single classifier is shown. A method for producing an alarm in response to detected abnormality in the operation of power unit process equipment is suggested. It is shown that it became possible by using the proposed model to detect the onset of the emergency development process, whereas individual indicators failed to reveal pump operation singularities in the preemergency interval of time.